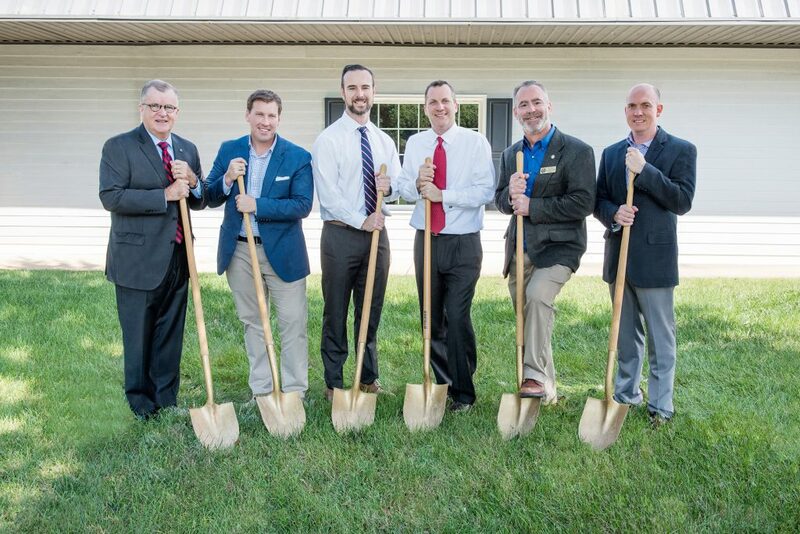 Partners from The Financial Risk Group were joined by Town of Cary officials, Town Council members and representatives from the Cary Chamber of Commerce to officially break ground on a new 11,000 square foot facility which will serve as global headquarters for the local company. FRG is expected to move operations to its new headquarters in downtown Cary, North Carolina early next year. Pictured, from left to right: Howard Johnson, Ted Boyd, Tim Weeks, John Bell, Don Frantz, and Kyle Greer. 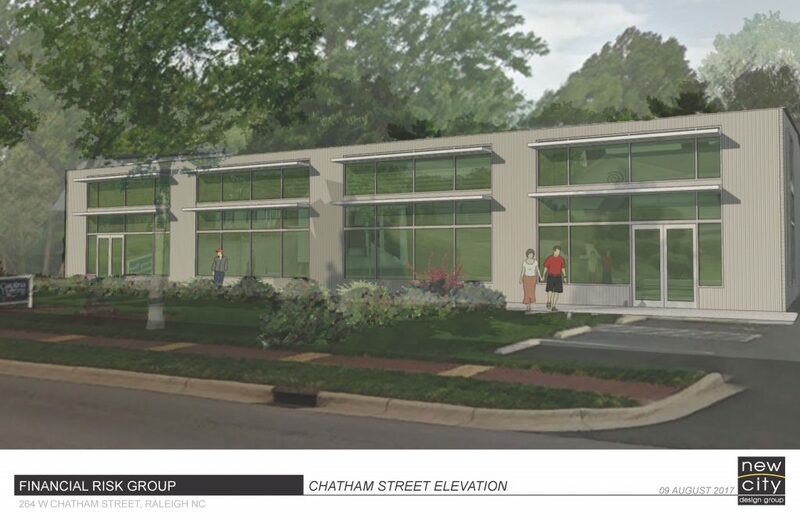 The new building is located at 264 West Chatham Street, formerly home to Carolina Lighting & Design. FRG is planning a major renovation project to reshape the building into a modern office. The building’s exterior will be revised with a modern, steel and green glass façade. Plans also include approximately 1,200 square feet of retail space available for lease. FRG has called Cary home since the company was founded in 2006. It moved into its current “main” building, a renovated 1950s home on historic South Academy Street, in 2010, when the company was still a startup. In considering new headquarters, company partners scouted multiple locations around the Triangle, including downtown Raleigh and Centennial Campus, but the draw of downtown Cary won. A groundbreaking ceremony was held September 21 and was attended by Company Officials John Bell and Tim Weeks; Downtown Development Manager Ted Boyd; Town Council District B Representative Don Frantz; Howard Johnson, President of the Cary Chamber of Commerce; and Kyle Greer, the chamber’s Vice President Economic Development. Rufty-Peedin Commercial Design Builders is leading construction efforts of the New City Design architecture design group. FRG anticipates moving into the new space by early 2018.